Start in time and pace yourself. A good jockey in a race knows how many furlongs there are to the end, and how many fences are left to jump. You would not bake a cake without first setting out your ingredients, and setting out the baking instructions in the recipe. Work out how long you have to complete your task, and work out the stages you have to pass through by particular days or weeks. If you are still researching your topic with only a week or two to go for submitting your dissertation, or a day or two to go to submitting your essay, then you have not paced your research. And if the deadline is looming, and you are behind in the race, you start to panic. When we are running and panicking we are most likely to trip and fall. You can spend a lot of time, thinking about a topic, mulling it over, or even delaying your reading and writing because the task seems so daunting. Set aside time each day for reading and time each day for writing. They will accumulate over the days and weeks, and it also means your project will seep into the back of your mind, so you can live with it without panicking. It is very tempting to repeat everything you have read and learned about a research topic. But just because you have stumbled across it does not make it original, interesting or even exciting. Part of a researcher’s skill is sifting and showing discernment. Too often it is easy to write an essay as a string of quotations and citations, and then think because they have been placed in a correct order you have made a cogent argument. Not so. I want to know what you think, I want to know whether you agree or not, and why. There is no point in saying something like: “Moltmann is correct when he says …” Tell me why you think he is correct to say so. Don’t set about writing a paper because you find the topic interesting. Read around it for a while before settling on your topic. This is particularly true for a dissertation topic. If you are going to eat, sleep, drink and walk with a topic for 9-12 months, make sure it is one you are happy to live with, not one you wish you could get a quick divorce from. Keep your eye on the research title. Too often we are inclined to see words in an essay title, for example, that appeal to us, and then use those words to hang everything we know on one issue on them. Research topics are not a washing line. Focus on the topic in hand, keep your eyes on it, and do not be distracted by extraneous topics. 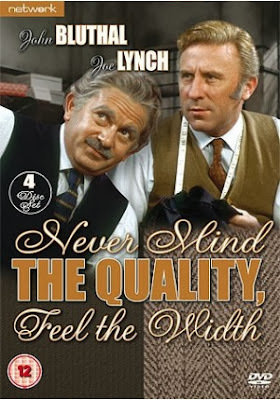 When it comes to essays, I have sometimes heard student say things like “I have only another 500/400/300/100 to write.” There was a 1960s television sitcom series about an Irish and a Jewish tailor, Never Mind the Quality, feel the Width. I can assure you will get more marks for quality in your essay or dissertation than for the quantity of words. Albert Einstein was able to express a major thought in a simple formula: E = mc2. If you do not read, you cannot allow other people’s ideas to reach out to you and inhabit your space. If you search only on the internet or on your Kindle for the books you already know fit your bill, you are not engaging in reading and research – you are engaging in proof texting. Don’t just browse the internet, browse the open shelves in the library, read beyond your comfort zone. Be challenged, be open to being challenged. Otherwise the Church will not be challenged by what you have to say. A limited bibliography is a sign of a closed mind. There is a song by Leonard Cohen, Everybody Knows. Don’t tell me “Everybody knows.” Well, if it is, why did you state it? “It is well known …, all Christians believe, … It is right and proper, … it is meek and right so to do …” Why? Give me reasons. Or was your research not completed? Generalisations can stoop to co-opting your reader. It is only one step to move from saying “Everyone knows” to saying “Every Christian believes.” Remember your essays and dissertations are being written first for the university, and secondly for the general public. If you say something like “Every Christian believes,” I may arch my back and say: “Oh no I don’t …” and quickly find places where I do not accept your other premises. Facts are not facts unless they are referenced. And references are fictional if they are not factual. If you are presenting statistical analysis, make sure your calculations add up, and are numbered properly. If you quote an author, get the author’s name right, and the title of the book, and the publisher’s name, and the place of publication, and the date of publication. An author may have changed his/her view in a later edition. Use the most up-to-date version of books, especially standard reference books in your field. Getting basic facts wrong shows me don not care about your topic. You might ask: “Does it really matter?” If you find yourself asking that question, you really don’t care. It is easy to stoop to folk-language and colloquialism. It may work at home, but it does not work here, and it does not work with the external examiner, or with the general reader. The best way to improve your English is to read. Don’t just read to mine facts and information for your research. Notice how other people write, and which writing styles you find easy to read. (Revd Canon Professor) Patrick Comerford is Lecturer in Anglicanism, Liturgy and Church History, the Church of Ireland Theological Institute. These notes were prepared for a seminar on research and writing with Year II MTh students on 27 January 2016.